Sorry... the 2017 Volvo V60 is no longer being sold as new. 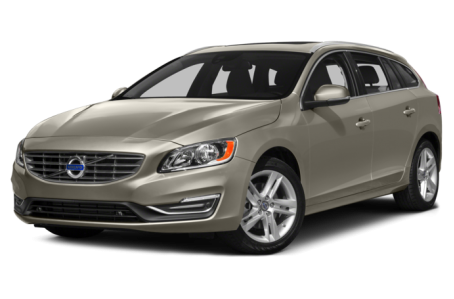 Instead, take the first step to a great deal on 2018 Volvo V60 with a free price quote! Volvo surprised some in the auto industry and thrilled many wagon enthusiasts when it introduced the V60 wagon as a 2015 model, injecting new life into what had been a dying market segment. The V60 is based on the S60 sedan, seats five and has a 40/20/40-split rear seat designed for easy folding. Competitors include the Audi Allroad, BMW 3 Series wagon and Subaru Outback. Volvo also sells a quasi-SUV version of the V60 dubbed Cross Country. Volvo has simplified the V60's engine lineup, reducing the number of available engines to two. With the V60 Cross Country, Volvo applies a long-standing tactic it's used to dress up wagons to look like SUVs. It features cues common to utility vehicles such as a raised suspension, skid plates and standard all-wheel drive, which help make it suitable for light off-road use.